To expedite the invoicing and billing process, Coresystems allows you activate and customize a Business Rule to automatically attach a checklist report as a PDF and attach it to the activity when the checklist has been completed. With this can be transferred to an Enterprise Resource Planning (ERP) system or to other systems and clients as needed. 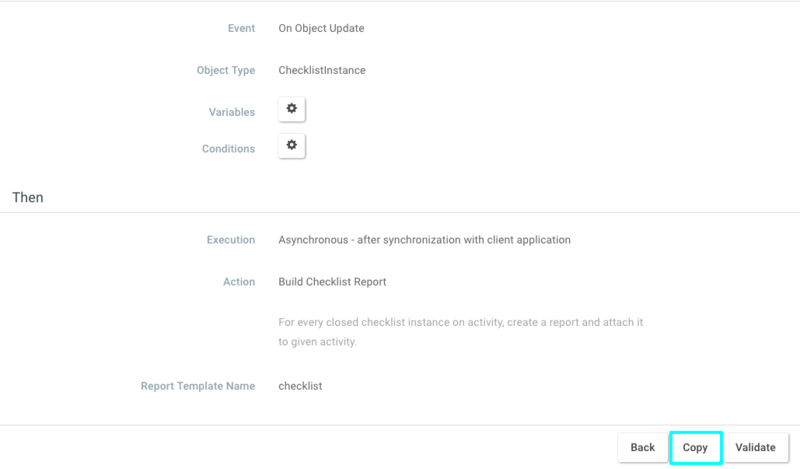 When the predefined conditions have been met, the application will respond by completing the specified action. 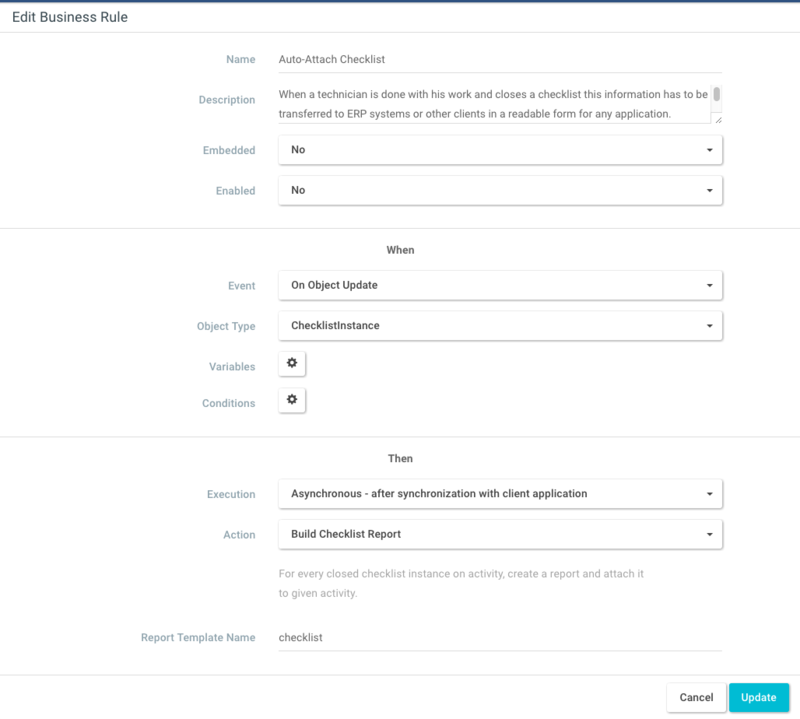 In this tab, there are also several “Sample” business rules available that can be applied to customize application behavior, one of which is the SAMPLE-Attach specific checklist report to activity as soon as the checklist is closed. With just a few quick steps, you can copy, update, and enable this business rule so that chcklist PDF reports are automatically attached upon being closed. As-is the Auto-Attach Checklist sample rule is quite powerful, and will work as needed in most cases. From the Admin module, navigate to the Companies tab, and select a company for which you would like to assign the Auto-Attach Checklist business rule. Select a Company from the list, and click the Business Rules & Notifications options in the left menu. Select the SAMPLE-Attach specific checklist report to activity as soon as the checklist is closed. From the actions row in the bottom, select Copy. After making a copy of the Sample business rule, you can then update it and activate it. Select SAMPLE-Attach specific checklist report to activity as soon as the checklist is closed (copy). From the action row at the bottom, select the Edit option. Enter a unique name in the Name field. Optional: in the Report Template Name field, you can give the report template a different name. When complete, select the Update option in the action row below. The business rule is now ready to be validated. From the action row at the bottom, select the Validate option. Select a Test Object and Test Person to validate the business rule against. The application will then run the business rule using the select Object and Person parameters.